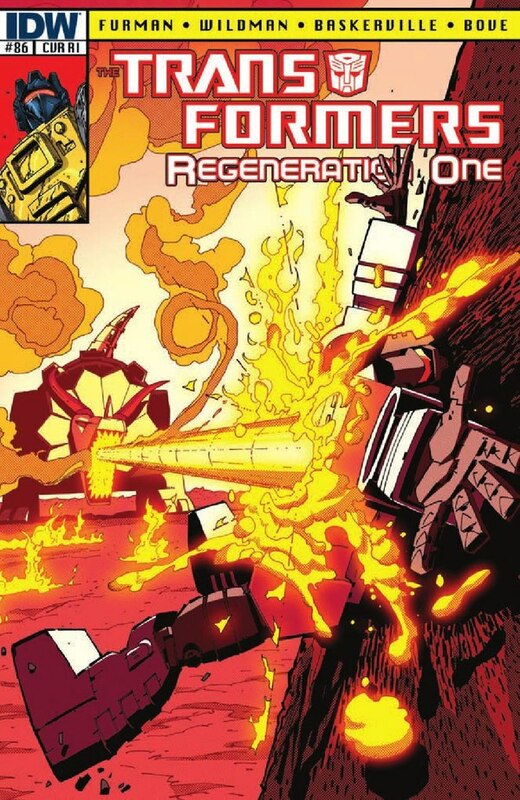 In the clutches of a revived Scorponok, Grimlock confronts the consequences of Nucleon and his own conscience in "Natural Selection (Part 1)". 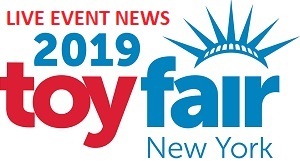 Simon Furman scripts, the penciling and inking team remains Andrew Wildman and Stephen Baskerville, John-Paul Bove colors, and Chris Mowry is still on lettering. Geoff Senior's alternate covers make me miss him on interiors. 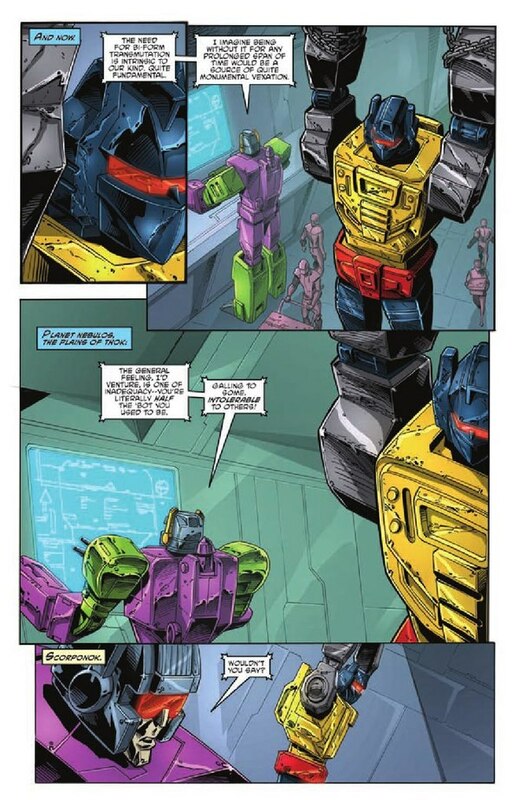 After a flashback showing the effects of Nucleon on various Transformers and Grimlock vowing to find a cure, we return to Nebulos in the present day where Scorponok explains to Grimlock the source of his enhanced intelligence and the process of his resurrection. 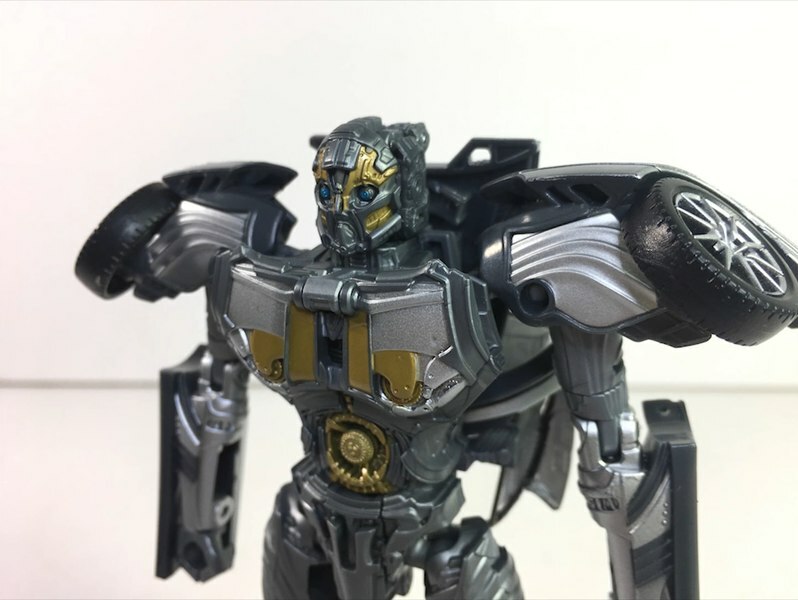 He then offers Grimlock a new body, fully functional and uncontaminated by Nucleon, in exchange for his loyalty in Scorponok's bid to take over Cybertron. 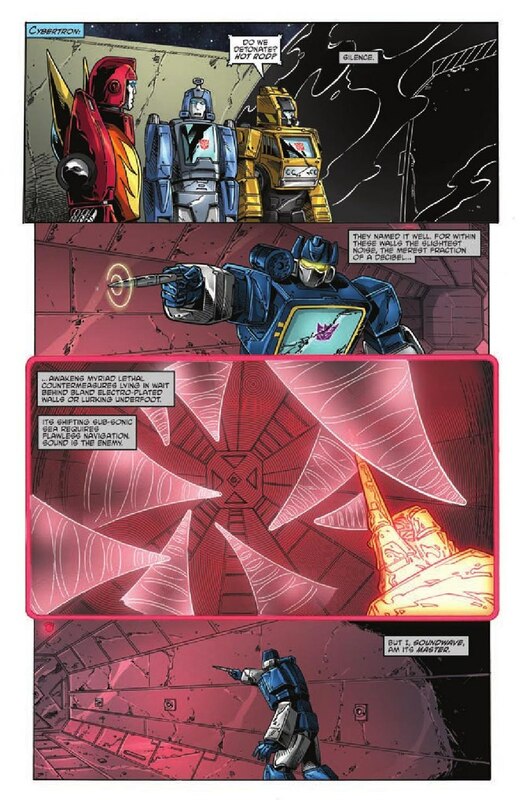 Speaking of Cybertron, the heist of Thunderwing's remains- and any residue of the Creation Matrix that may yet exist -continues, and Soundwave pins his escape plans on an assessment of Hot Rod's character and confidence. 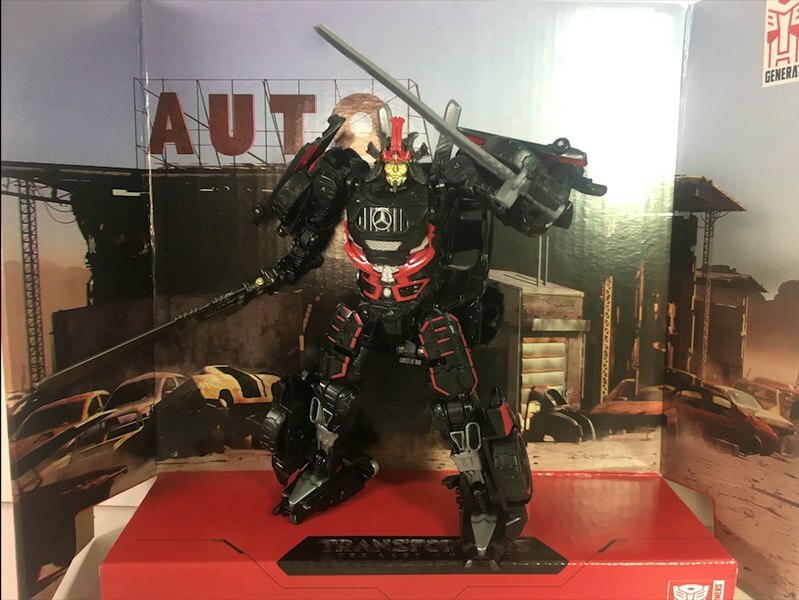 On Earth we see how badly the battle with Megatron has shaken Optimus Prime - and a not-entirely-unpredictable escape is made from the disposal of the Zombie Transformer corpses - before returning to Nebulos and Grimlock. 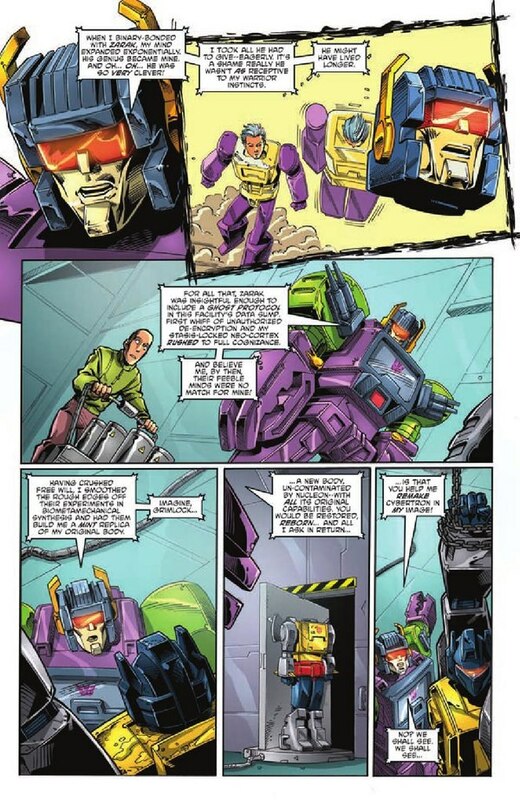 So now we have a slightly more detailed explanation of the resurrection of Scorponok, and now that my memory is refreshed on the circumstances his personality shift isn't much of a shift at all: this is the original Scorponok, the one whose head was left on Nebulos, and of course it was Zarak in Scorponok's original body who was in the process of becoming a sympathetic character(and who was then destroyed in the battle with Unicron) back in the original Marvel Transformers run. 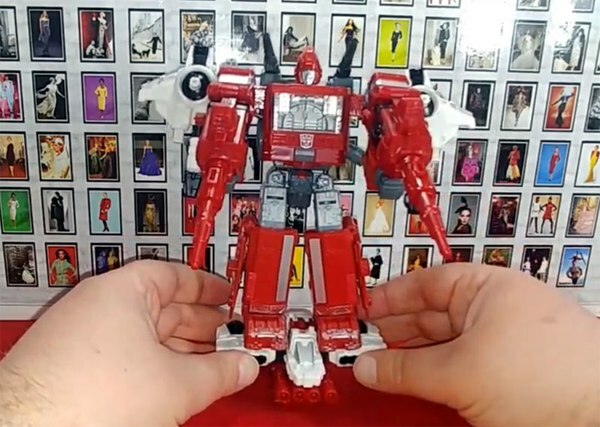 We also get a look of the effects of Nucleon, which had been expected (and even hinted) to be more uniformly Action Masters-related back in the old days. Some of the effects are a bit cheesy in their Ironic Punishment Division stylings, and that in fact raises some difficult questions about the ones that aren't: Blaster has sound problems, Inferno's on fire- I get those. 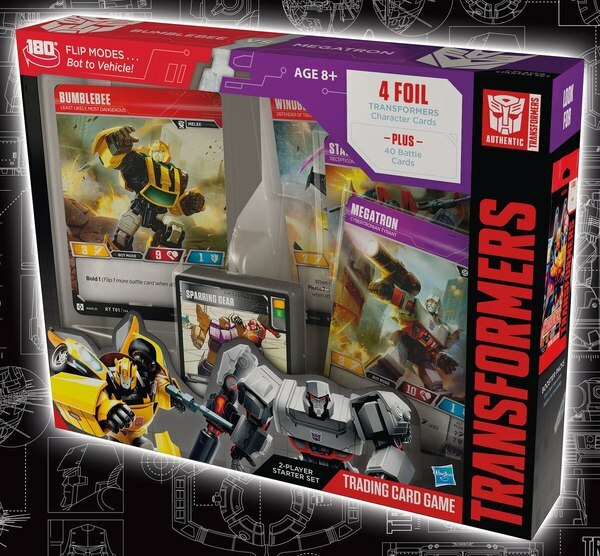 But what's up with Huffer and Silverbolt? What do their mutations mean? 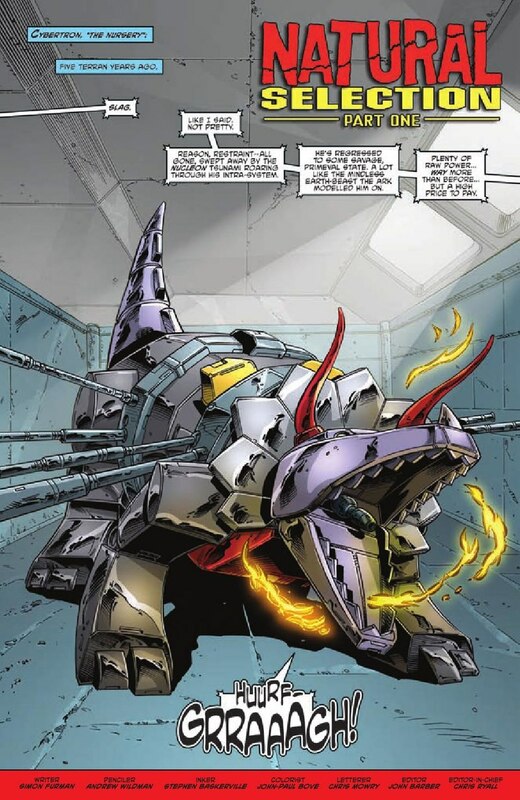 But otherwise, the focus of the issue is on Grimlock. 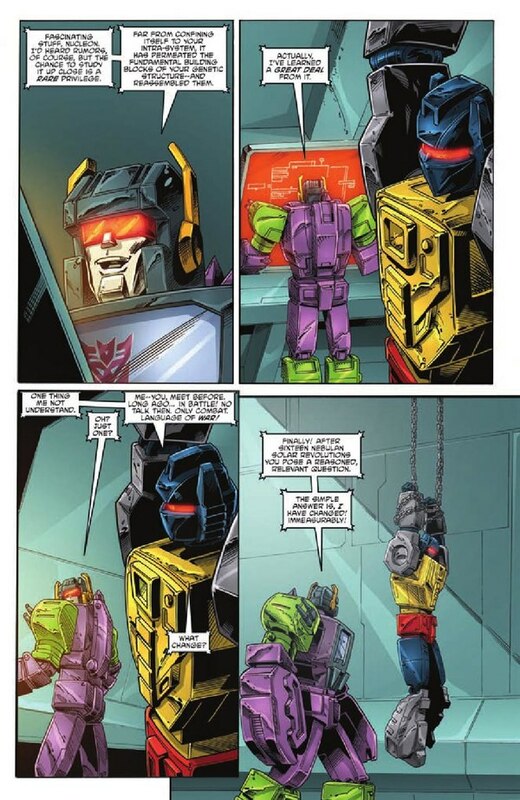 With his enemy dangling the cure he seeks in front of him, Grimlock is given to a rare-moment of guilt and self-recrimination. 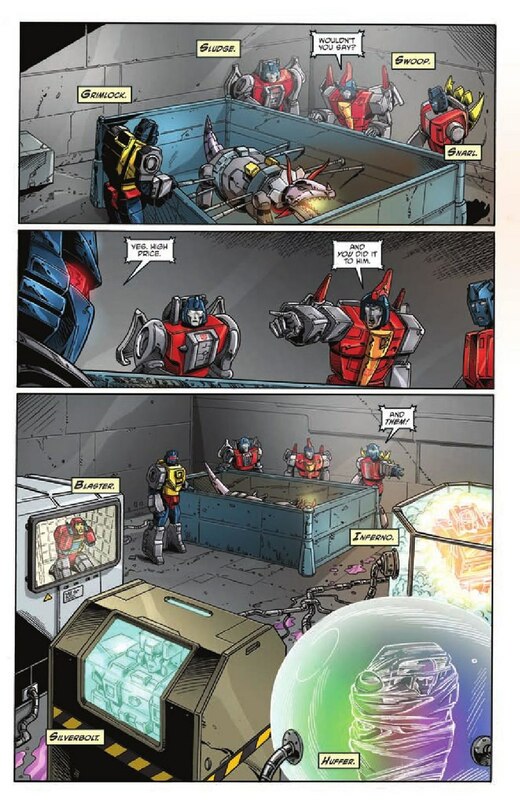 And, as he did when he first chose to use Nucleon, he makes a decision he'll probably regret in an attempt to save the lives of those he feels responsible for. 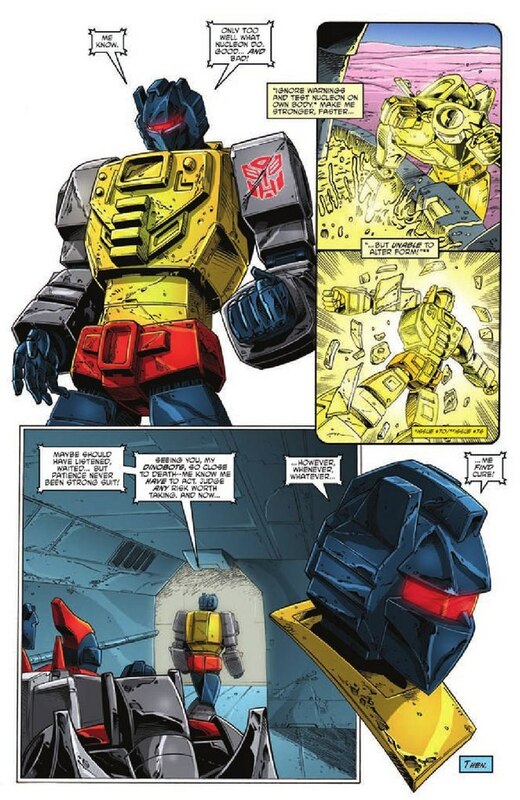 After Rage of the Dinobots #1 last week, I really do appreciate that Grimlock's trademark syntax is completely and consistently applied- and if anyone is going to get that right, it would be Simon Furman. Wildman and Baskerville do a fine job as always in their usual style, and despite the fact that they've both been at this for a long time, I feel that the art is still improving with each successive month; I guess they're getting back in the groove. Their cover art is likewise solid, and it's one of those classic shock-covers that doesn't quite show a scene from the book but one that the book implies. 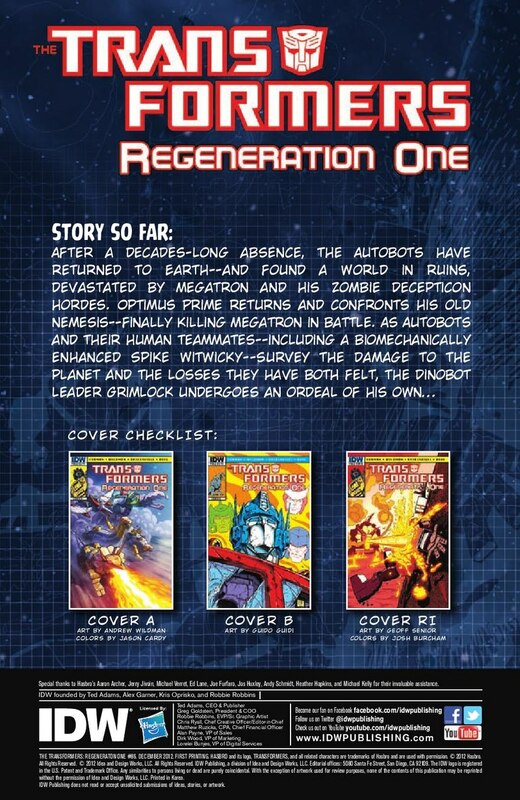 I'd love to see a nice Marvel-style blurb on here to go with that. But man, Guido Guidi and Geoff Senior really brought it this month. 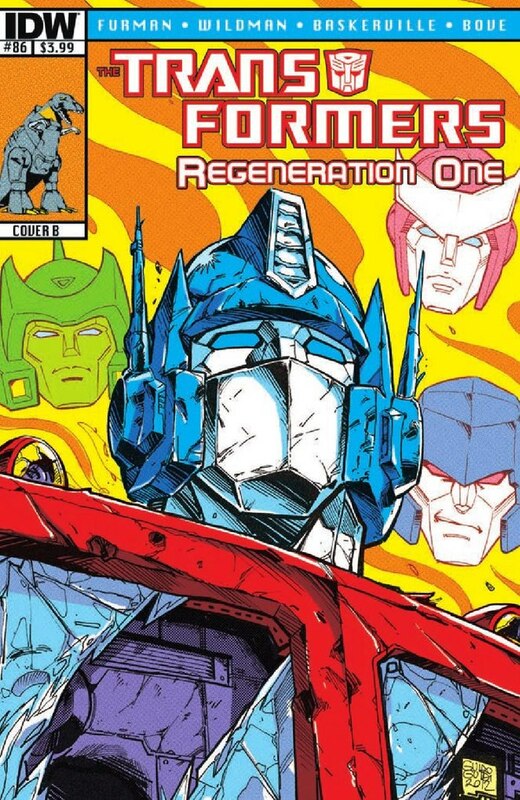 Guido's portrait of a battered and disheartened Optimus Prime haunted by his friends (and enemies) is just great, but again I have to give it to Geoff Senior by a nose- his is a shock-cover that actually recreates a scene from the comic's interior, and compared to his other Transformers work it's slightly more modern in its details while maintaining the blockiness and heavy lines that I love about his style. I'd love a poster of that. 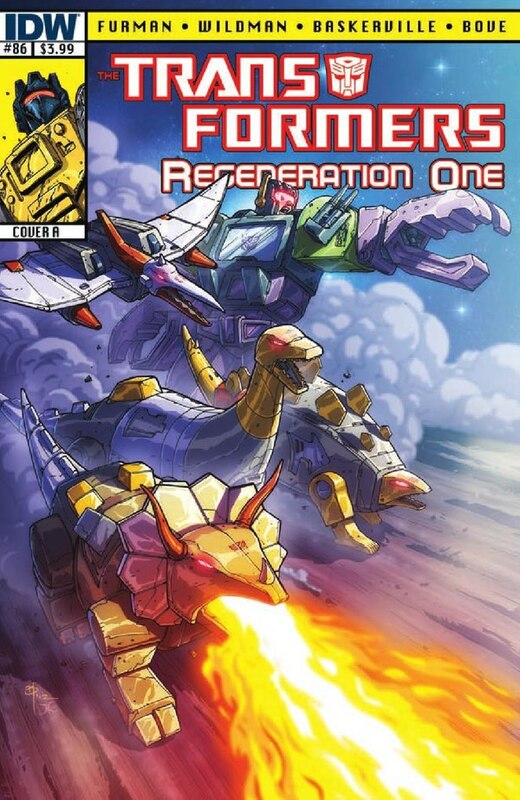 With the previous storyline more or less finished, we move on to Scorponok's machination and how Grimlock fits into them. 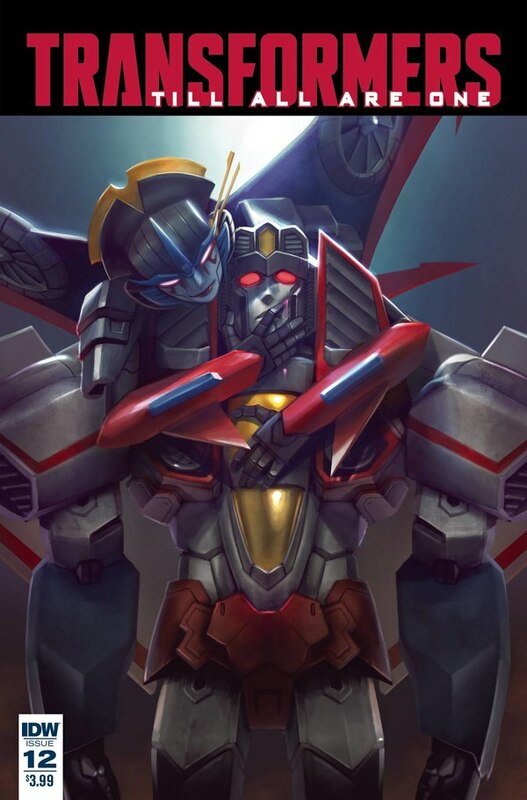 Meanwhile we've got other groups of Decepticons on the move in other parts of the galaxy, and I suspect that they'll all ultimately converge, leaving the Autobots a big mess to deal with instead of a bunch of smaller ones. This is one of those comics that, in building towards larger things, always leaves me wanting more. I'm hoping that the payoff will be on the grand scale that the setup implies.